Early modern architecture in Japan went through a series of distinct phases. One of these phases was a certain kind of neo-Renaissance introduced by architects like Josiah Conder, Hermann Ende and Wilhelm Böckmann in the late 1800s. Separate from earlier mixed Western-Japanese buildings found around the bund at Yokohama, such neoclassicism became well-admired and common within the Japanese architectural world (though there were always stylistic outliers). The coming of such neoclassicism to Korea then coincided with the 1905-1910 period leading up to annexation. Prior to this, and to some extent even during its period as a “protectorate” of Japan, Korea’s architecture was mostly a hodge-podge of Korean hanok and vernacular Japanese clapboard machiya. Some were more elaborate than others, with the various foreign communities and Korean government venturing into what some have called “orientalized” Western architecture, but there were only a handful of what the modernized societies of the world would have called properly designed buildings. To be sure, there were relatively few formally (Western) trained engineers in Korea prior to the 1905 treaty. During the time of the Resident-General (1905-1910), public works and infrastructure development were pushed, resulting in both the manufacture and continual import of more building materials. The availability of schooled Japanese architects coupled with the government’s will to invest in a soon-to-be colony allowed for the architectural styles that were trending in Japan to flourish in Korea. Timber structures were, even for government projects, the most common during this time. Yet it was also then with government finances that the brick neo-Renaissance buildings like those found throughout the Netherlands, Belgium, and Prussia were introduced to Korea. 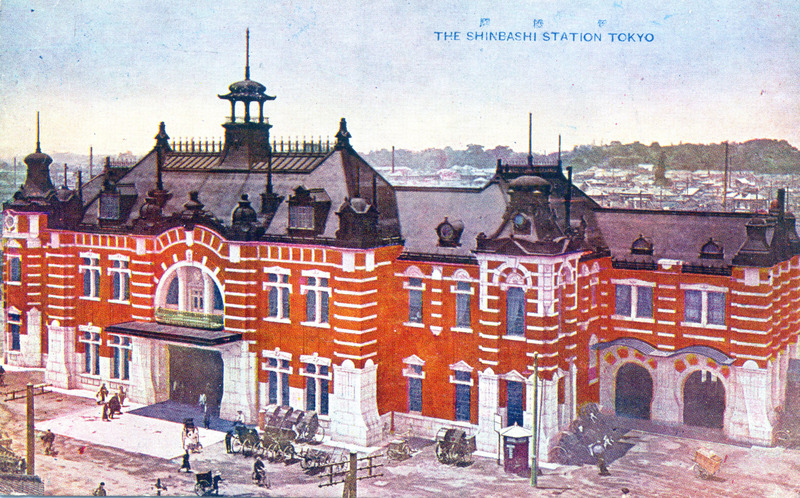 This style appears to have first been implemented by Tatsuno Kingo in the design of Busan Station, completed in 1910. The immediate port and railway section of Busan, photographed within a few years of the station’s construction. Source: International Research Center for Japanese Studies. Tatsuno was a former student of Josiah Conder, a prominent British advisor working in the Imperial College of Engineering in Tokyo. Though influenced by Conder’s broad, unrestrained use of various European revivalist genres, many of Tatsuno’s works were completed in this specific kind of brick neo-Renaissance style seen in Germanic states, and more importantly, in Ende & Böckmann’s designs. 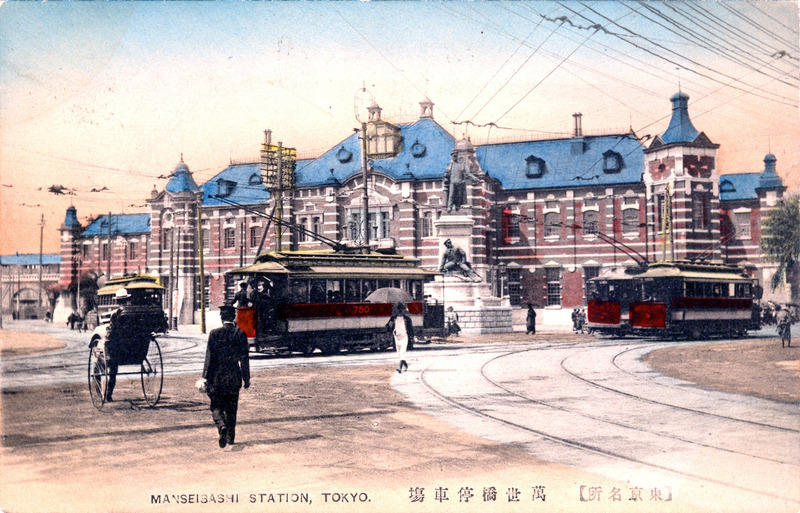 His stylistic shift towards such German-influenced horizontal banding and strong color contrast became evident by the time he was commissioned as the architect of Tokyo Station in 1903. To be sure, the survey and layout that he followed were planned by two German engineers, Franz Baltzer and Hermann Rumschöttel. Busan Station in the 1920s. Source: International Research Center for Japanese Studies. 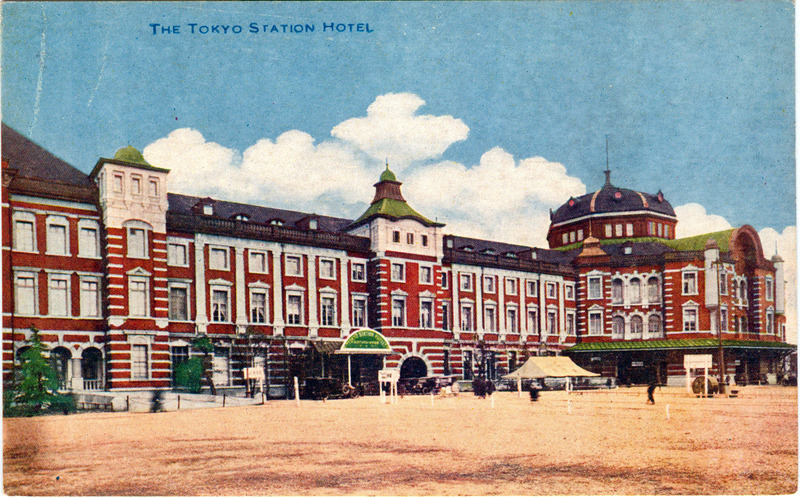 Tokyo Station and Busan Station then began construction in 1908, both featuring Tatsuno’s signature horizontal stone banding across common red brick. The style was repeated throughout the Korean peninsula, in Busan’s new customs house (1911), the Imperial Navy offices in Jinhae (1912-1914), and the new Seoul Post Office (1915). Ornamentation and features varied, roof shapes were experimented with, but the style of facade stayed the same. Busan Customs Office. Source: International Research Center for Japanese Studies. Former Imperial Naval Headquarters at Jinhae. Source: International Research Center for Japanese Studies. Former Imperial Naval Defense Office at Jinhae. Source: International Research Center for Japanese Studies. Seoul Post Office in the 1920s-1930s. Source: International Research Center for Japanese Studies. Sinuiju Public Hall (present day North Korea). Source: Nate Kornegay Collection. Busan Chamber of Commerce. Source: International Research Center for Japanese Studies. For comparison, a drawing of the Gunsan Customs House (built 1908) shows it did not feature the horizontal banding and strong contrasting brick-to-stone that Tatsuno’s architecture did. This example is included to show the distinction between other German neo-Renaissance influenced styles and Tatsuno’s style. Despite being the first known brick German (Belgian) neo-Renaissance building in Korea, it probably does not fall within the realm of Tatsuno’s influence. The building still remains in Gunsan today. Source: National Archives of Korea. Tatsuno was not constrained to this specific style, a trait he may have learned from Conder. Indeed, the liberal mixing of European styles by early modern Japanese architects could have its roots in Josiah Conder’s own methodology and design varieties. Tatsuno practically applied such thinking to his buildings in Korea, where he not only designed Busan Station, but also the Bank of Chosen (1912). 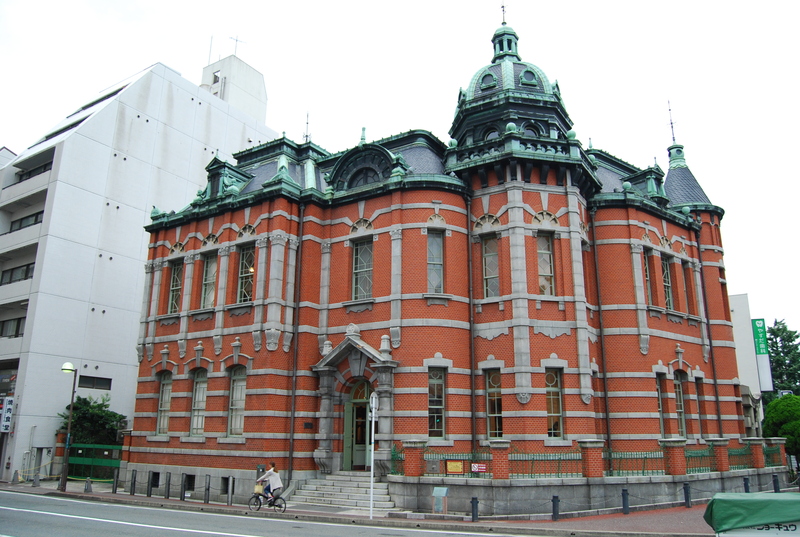 Perhaps an allusion to his earlier Bank of Japan projects (Toyko 1896, Osaka 1903), it was similarly covered in granite. However, Tatsuno’s design here strayed from the German influence of his train stations, fusing different types of domes with British neoclassicism. Still, even this kind of architecture spread throughout Korea, included in buildings like the Busan Post Office. Top: Bank of Chosen, from International Research Center for Japanese Studies. Middle: Bank of Chosen, from Present Day Impressions of Japan. Bottom: Busan Post Office, from the International Research Center for Japanese Studies. 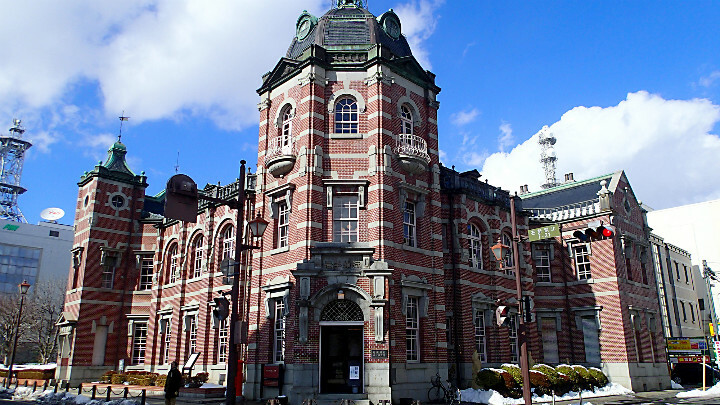 To then call Tatsuno’s red brick and stone banded buildings German neo-Renaissance is an approximation. Tokyo Station made use of multiple styles of roof. Other builders mixed French mansard roofs onto such structures, with neo-Baroque and neo-Gothic characteristics sometimes blended. Italianate features were also implemented in “Tatsuno styled” buildings. Yet “German” remains one good descriptor for the style, for much of Tatsuno’s work in the 1900s was surely inspired by the earlier designs of Ende & Böckmann – perhaps even directly so. To understand why Tatsuno’s signature design likely sprouted from such architecture, we must look back to the government official that first brought Ende & Böckmann into the Japanese world: Inoue Kaoru. Inoue Kaoru was, for a time, the Foreign Minister to the Japanese government. He was an individual decidedly intent on remaking Tokyo into a grand city comparable to the most important urban centers in Europe. For this task, he hired Ende & Böckmann, who drew up plans for the massive project in the 1880s. With wide boulevards and palatial structures designed in various Western revivalist styles, the remade government district near the Imperial Palace would have been a colossal undertaking. While the Meiji government in general sought to present itself as being on par with the great Western powers, the plans never materialized. This was mostly due to the enormous cost of leveling and rebuilding a significant portion of the capital city. However, there were political factors involved as well. Ende suspected that the government had become concerned about the “anti-nationalist” appearance of completely foreign designed buildings.1 Caving to public criticism of his coziness with Westerners, Inoue resigned from his position as Foreign Minister in 1887. And while his plans of remaking Tokyo died with his resignation, some of the grand ideas that floated around within the Foreign Ministry during that time seem to have been passed on to others. 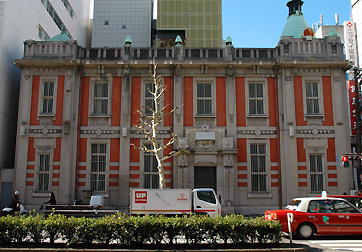 Before his resignation, Inoue formed a division known as the Special Architecture Bureau, a short-lived architecture-focused urban planning group under the Foreign Ministry whose membership and list of advisors reads like a Who’s Who of early modern architects in Japan.2 With urban planning power shifted to the Foreign Ministry in 1885, the bureau was set to have substantial influence over the future design of Tokyo.3 Tatsuno Kingo, too, was associated with this bureau, becoming part of the design bubble that included Inoue, Conder, and Ende & Böckmann. Tatsuno then emerged as an important architectural figure within this socio-political context. The “anti-nationalistic” issue of foreigners having too much control over Japan’s built environment allowed for Tatsuno, a native, to create his own successful private firm. Influenced by Inoue and the Special Architecture Bureau, his signature design style from the 1900s-on then reflected some of Ende & Böckmann’s grand neo-Renaissance architectural plans. To be sure, while Tatsuno stripped down some of the ornamentation in his designs, the soul of the German firm’s work was arguably present throughout much of Tatsuno’s architecture, and of those that copied Tatsuno. These two drawings exemplify the similarities between Tatsuno’s style and the style of Ende & Böckmann. Top: A perspective drawing of the Ministry of Justice Building, which was one of only two of the proposed structures that were actually built in Japan, designed by Ende, Böckmann, and Giesenberg. Bottom: Perspective drawing of the proposed Police Headquarters, designed by Ende & Böckmann. Source: Technical University of Berlin. By the end of the 1910s, Tatsuno’s style had been so influential that an informal standard had developed in institutional structures. His influence, by way of architects like Conder, spread throughout the Japanese Empire, with this specific style of neo-Renaissance affecting the National Taiwan University Hospital (1912) and the Government-General Building of Taiwan (1919). 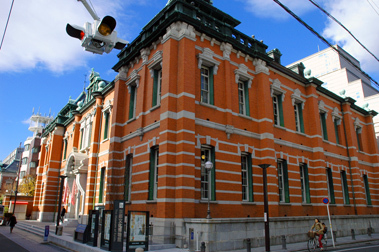 Back in the metropole, Tatsuno designed the Kyoto Museum Annex (1906), Dai-ichi Kangyo Bank in Kyoto (1906), the Kyushu branch of the Nippon Life Insurance Company (1909), the former Head Office of the Bank of Iwate (1911), the Imperial Hemp Building (1911), Manseibashi Station (1912), former Karatsu Bank (1912), Hokkoku Bank in Kyoto (1916) and the First Mutual Life Insurance Building (1921) among others. A color comparison showing the high contrast of red brick and light stone. Top: Busan Customs House, from the Nate Kornegay Collection. Bottom: Seoul Post Office, from International Research Center for Japanese Studies. Not all Japanese architects followed Tatsuno’s lead. Some were influenced by different, more modernist ideas and took different paths into the 1920s. 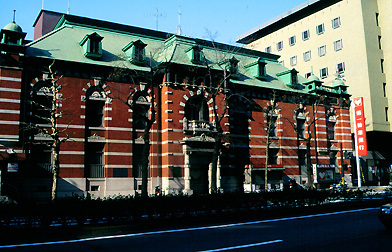 Yet there were many designers who took cues from Tatsuno or his significant structures found in the metropole, with characteristics of his architecture repeated throughout a number of cities, like in the old Shimbashi Station (Tokyo), the Yokohama Kaikan Memorial building (1917), the former Nagoya Court of Appeals (1922), and many more. To be sure, this extended to the aforementioned naval offices at Jinhae, which similarly followed the style of the naval office in Tokyo. Though the Tokyo office was designed by Conder, the use of the style in the Jinhae naval offices embedded such neo-Renaissance design into the military architecture of the time. Further indicative of such standardization is the example of Seoul Station. Completed in 1925, it appears to have been the last neo-Renaissance building of this style constructed in Korea. While the Japanese architectural world was transitioning into its first wave of art deco and other international modernist designs, Seoul Station’s architect, Tsukamoto Yasushi, was merely following the tradition already established by Tatsuno. 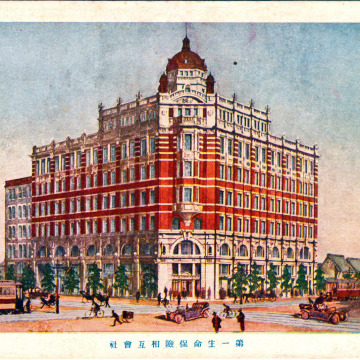 As a former student of his, and as someone who had sat on the selection committee for the design of the Government-General in Taipei, Tsukamoto was well suited for the job of maintaining architectural consistency across the empire.4 To be clear, though it has been theorized that the structure was modeled after Luzern Station in Switzerland (1896),5 it is important to remember that architectural forms and features from all styles were constantly recycled by Japanese architects according to what was trending in the metropole.6 This is exemplified in particular aspects of Seoul Station, too, whose character is strikingly similar to Osaka Public Hall (1918) – another Tatsuno Kingo design. It was designers like Tsukamoto who recycled such features, drawing from Tatsuno’s long list of built works. Top: Seoul Station, from the International Research Center for Japanese Studies. Bottom: Luzern Station after an additional wing was constructed on the left side of the image, from the Nate Kornegay Collection. Note: Though extremely similar in form, Luzern Station featured detailed ornamentation and rustication while Seoul Station is a partial example of stripped classicism, reliant on clean lines. Without its dome, Seoul Station is similar in form to Osaka Public Hall. Top: Drawing of Seoul Station exterior, from Picpen – likely a photograph of the copy on display within Seoul Station. Bottom: Drawing of Osaka Public Hall exterior, from “Ōsaka ichi kōkaidō shinchiku sekkei shimei kenshō kyōgi ōbo zuan”, illustrated and cited in “Architecture of Osaka Central Public Hall” by Masaki Yamagata. 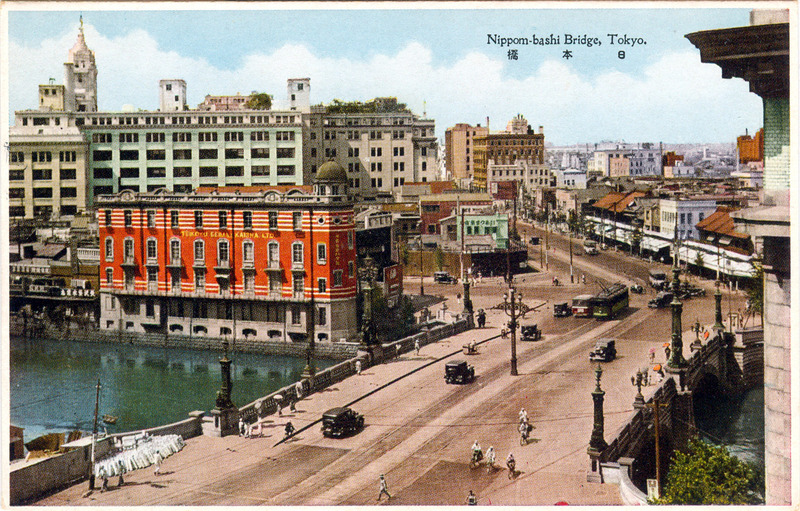 Tatsuno’s buildings, for a time, then became the architectural face of the Japanese Empire.12 When someone crossed through Japan, they would pass through his Tokyo Station. If they visited a major bank, it probably would have been one designed in his style. Travelers to Korea as well would almost always pass through the architect’s railway station in Busan when steamers from Shimonoseki anchored in the port city. By the time a traveler arrived in a place like Seoul or Taipei, it would have been difficult for them not to have encountered Tatsuno’s influence in the public sphere. In this way, for better or for worse, his architecture became a normalized part of the Japanese-built world. To some, these buildings embody a more refined and romantic period. To others, they are conflated with the socio-political situation of the time, including the very negative events that occurred during Japanese colonization. Yet rather than being wholly representative of early Japanese imperialism on the Korean peninsula, such buildings are at least partial reflections of the personalities that built them, indicative of the trends that were then popular in Japan, and emblematic of a much larger history of Western influence on East Asia. Authors note: Tatsuno’s architectural style is universally recognized within the Japanese architectural world, sometimes referred to in Japanese as Tatsuno-shiki furīkurashikku, literally “Tatsuno-style free classic” (辰野式フリークラシック). This article is the third in the series, Reading and Understanding Early Modern Architecture in Korea. It seeks to help both the scholar and general public in deconstructing and contextualizing specific aspects of early modern architecture in Korea. If this article has helped you, if you see a point that you’d like to discuss, or if you would like to collaborate on a project, please feel free to comment below or send a private message via the contact form. 1 Tristan R. Grunow, “Empire By Design: Railways, Architecture, and Urban Planning in Tokyo, Taipei, and Seoul” (doctoral dissertation, University of Oregon, 2014), 172. 2 Tristan R. Grunow, “Empire By Design: Railways, Architecture, and Urban Planning in Tokyo, Taipei, and Seoul” (doctoral dissertation, University of Oregon, 2014), 171-172. 3 Tristan R. Grunow, “Empire By Design: Railways, Architecture, and Urban Planning in Tokyo, Taipei, and Seoul” (doctoral dissertation, University of Oregon, 2014), 168. Note that the Special Architecture Bureau was later transferred under the Home Ministry, and dissolved by 1890. 4 Tristan R. Grunow, “Empire By Design: Railways, Architecture, and Urban Planning in Tokyo, Taipei, and Seoul” (doctoral dissertation, University of Oregon, 2014), 398. 5 This fact was first brought to my attention by Asst. Prof. Suzie Kim of University of Mary Washington. According to a 2011 article in the Korea Herald, it was Prof. Ahn Chang-mo of Kyonggi University who first noticed the similarities between Luzern Station and Seoul Station. 6 This dome style is not at all limited to Seoul Station or Luzern Station, but can be found throughout Europe, such as in the Széchenyi Baths in Budapest. 7 Tristan R. Grunow, “Empire By Design: Railways, Architecture, and Urban Planning in Tokyo, Taipei, and Seoul” (doctoral dissertation, University of Oregon, 2014), 205. 8 Tristan R. Grunow, “Empire By Design: Railways, Architecture, and Urban Planning in Tokyo, Taipei, and Seoul” (doctoral dissertation, University of Oregon, 2014), 204. 9 Tatsuno was not opposed to Japanese architecture in the public sphere. To be sure, he built Nara Hotel as a (mostly) Japanese styled building. However, he generally preferred pure Western design in prominent, public, institutional, and government structures. 10 Hi Sibley, “The Architectural Desecration of Tokyo,” The American Architect, v.112, (1917), 271. 11 The image linked here shows the enormous neo-Renaissance main home of Yun Deok-yeong on his estate just west of Gyeongbokgung. The home was partially destroyed by fire, and subsequently demolished, in 1966. Traces of the estate still remain today in the Seochon area today. 12 It is important to remember the time frame for this comment as it only applies to when buildings in Tatsuno’s style were constructed. Furthermore, though these buildings remained into the 1940s, by this time the entire Japanese architectural community had shifted towards more modernist styles, complicating and calling into question the claim made here that Tatsuno’s architecture became the face of Japan. To be clear, at least during the 1910s and into the 1920s, it was his style that became most prominent in brick structures of the time. * At Jinhae, a number of former Japanese naval buildings seem to still remain. These were listed on the Cultural Heritage Administration’s website before, but it seems only the former hospital (which is also in the Tatsuno style) and former headquarters are still listed now. A number of the former Japanese officer’s quarters seem to still exist, too. ALL IMAGES AND PHOTOS ARE COPYRIGHTED UNLESS OTHERWISE NOTED. SOME IMAGES FEATURED HERE MAY BE UNDER COPYRIGHT, BUT ARE USED HERE FOR EDUCATIONAL, NON-COMMERCIAL PURPOSES UNDER STANDARD RULES OF FAIR USE. PLEASE DO NOT REPRODUCE OR DISTRIBUTE WITHOUT PERMISSION. IMAGES WITHOUT A SOURCE ARE ASSUMED TO BE THE COPYRIGHT OF NATE KORNEGAY. PLEASE DO NOT REPRODUCE OR DISTRIBUTE IMAGES FROM “COLONIAL KOREA” OR THE NATE KORNEGAY COLLECTION WITHOUT PERMISSION.